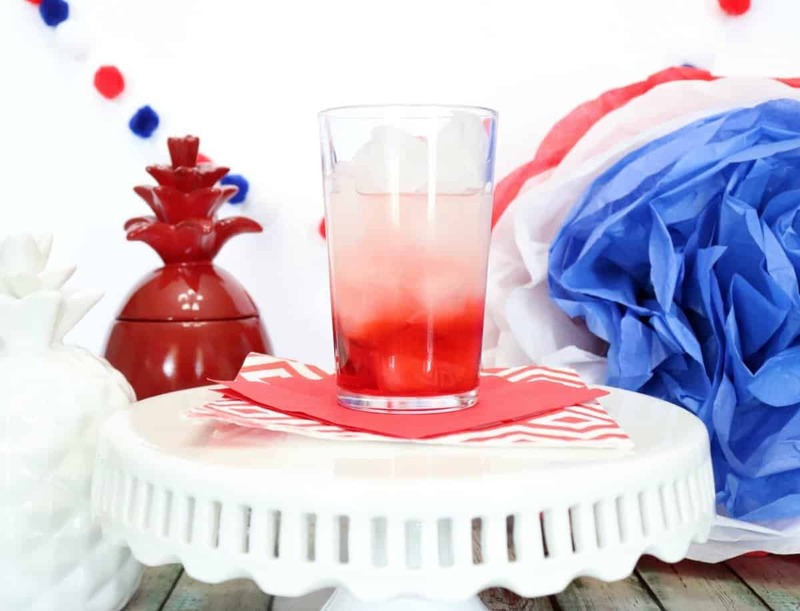 It’s week 4 of the summer cocktail series. If this is your first week, be sure to check out the previous weeks below, there are some tasty drink recipes to try. 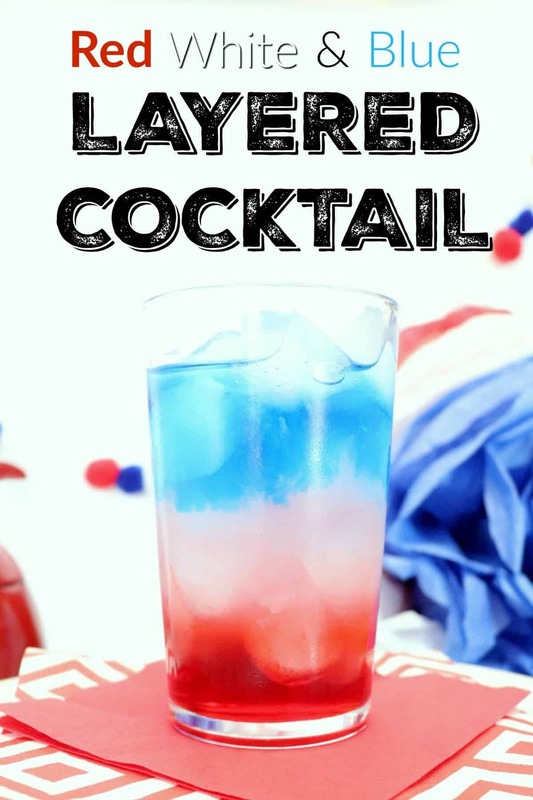 This week I made a patriotic red white and blue layered cocktail that is perfect for the Fourth of July. 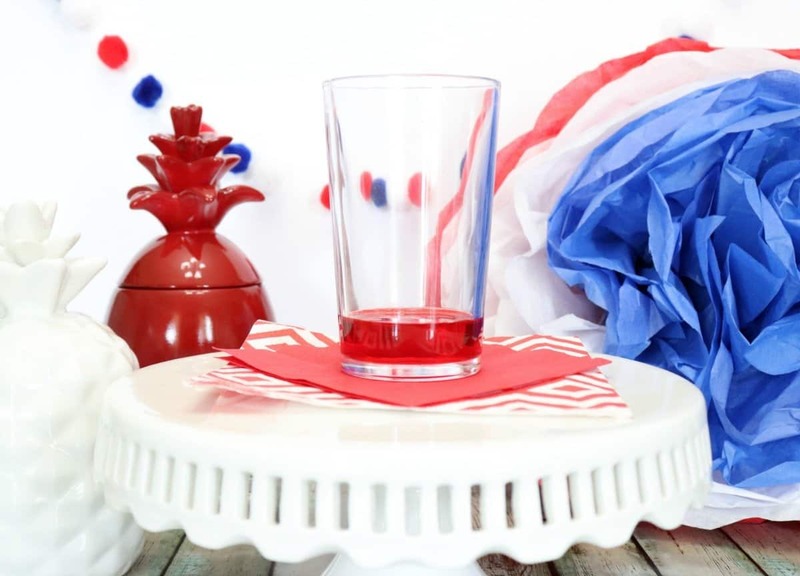 Watch and learn how to make this pretty drink that will wow your guests. It tastes pretty good too! After a little trial and error and some research I found the key to making a layered cocktail. The liquid with the highest sugar content needs to be at the bottom of the drink, then layered in order of their sugar content. There is also a trick to gently pouring each layer so they stay separate. Start with grenadine at the bottom, then fill the glass with ice. 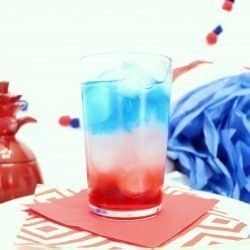 Next, shake lemonade and vodka to make the white layer. The key to getting the white layer to sit on top of the red layer is to gently pour the mixture over the back of a spoon. Use the same technique to add blue curacao for the final layer. It’s helpful to use a measuring cup with a spout instead of a shot glass. 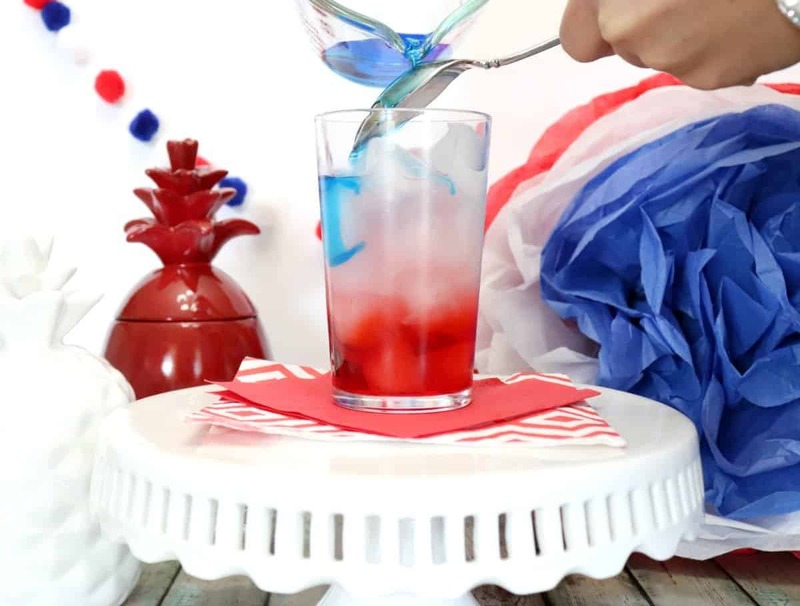 This red white and blue layered cocktail is a nice mix of sweet and tart and will look amazing at your Fourth of July party. 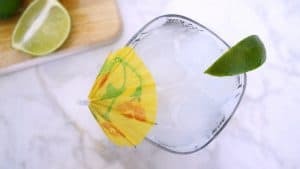 In a shaker, shake lemonade and vodka then gently pour the mixture over the back of a spoon into the glass creating the white layer of the drink. Cascade blue curacao over the back of a spoon to make the final blue layer. What a fun idea for a cocktail! Thanks for the tip about the highest sugar content going on the bottom layer. This looks pretty awesome! !